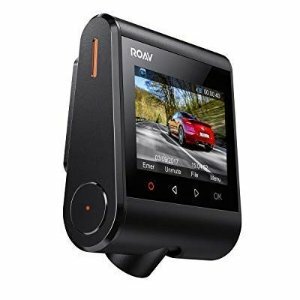 Amazon.com offers the Roav DashCam S1, by Anker, Dash Cam, Dashboard Camera, Full HD 1080p Resolution for $71.99 via coupon code ROAVAPS6 . Features: Full HD: Records 60fps to clearly capture speeding vehicles in crisp 1080p resolution. Clear Night Vision: A high-sensitivity Sony Starvis sensor ensures balanced, detailed nighttime capture. Shock-Activated: A gravity sensor automatically activates the camera if your car is bumped to record hit-and-runs. Dedicated App: The Roav app tracks your route so you can replay any part of your journey, manage videos, and share recording on social media, with a tap.